Iritis is an eye condition that is characterized by swelling of the front part of the eye. It is also known as anterior uveitis. Although iritis is an eye problem, it is often associated with a type of arthritis called ankylosing spondylitis. This is because over a third of people suffering from ankylosing spondylitis have reported cases of iritis occurring during one time or the other. So, what exactly is ankylosing spondylitis? Ankylosing spondylitis is a type of arthritis that commonly affects young people between the ages of 20 and 35. Although the cause of ankylosing spondylitis has not yet been identified, the largest numbers of patients possess a particular inherited gene which is known as HLA-B27. This inherited gene is speculated to be the cause of ankylosing spondylitis. Primary characteristics of ankylosing spondylitis include acute lower back pain, inflammation and stiffness. Although inflammation begins at the lower back, it gradually spreads to the rest of the body. Parts affected include the neck, hips, ribs, heels, thighs and shoulder blades. When this inflammation affects the eyes, the condition is known as iritis. It has been reported that around 40% of individuals suffering from ankylosing spondylitis also suffer from uveitis during the course of their illness. Iritis is a type of uveitis that is usually formed in the front area of the eye. Whenever an individual is diagnosed with iritis, the doctor may recommend screening for ankylosing spondylitis especially if the patient has back pain or stiffness. The most common symptoms of iritis include pain in the eyes, watery eyes, sensitivity to bright light, blurry vision and redness of the eyes. Symptoms usually go away without getting treatment but often come back and they may even be worse. It is therefore very important to see your doctor as soon as you get these symptoms so that the condition can be controlled at an early stage. Early treatment can also help diagnose whether an individual is also suffering from ankylosing spondylitis. 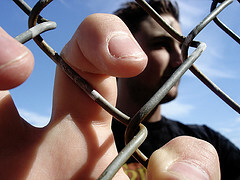 Extreme cases of untreated iritis result to blindness. Iritis is usually treated using eye drops called cyloplegic drops which usually decrease pain. Steroid drops or tablets are also given to deal with the inflammation. Patients are also advised to always put on dark sun glasses on sunny days to protect the eyes from harmful UV rays. After iritis has been treated, a person is required to have regular eye checkups done. This is to ensure that the condition does not come back. Ankolysing spondylitis symptoms usually begin with frequent pain and stiffness concentrated on the lower back. Over time, the pain becomes intense and spreads up to the spine and neck. A person may also experience general discomfort, loss of appetite and mild fever. Possible pain and tenderness is felt in the ribs, thighs, hells and hips. Inflammation begins from the buttocks and lower back then spreads to other body joints. When the symptoms of iritis and ankylosing spondylitis occur at the same time, it is a cause for alarm. Immediate medical attention is required so as to put both conditions under control. 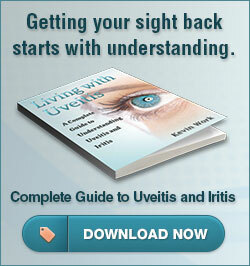 Do I have Uveitis or Iritis?